A dear, darling, deliciously snarky friend sent me a tiny trio of Vapid decants. I used one over my vintage polish a while back, and ever since I had a deep need to wear them all alone. Hence, a mini spamtacular was born. Holy silvery goodness, Batman! 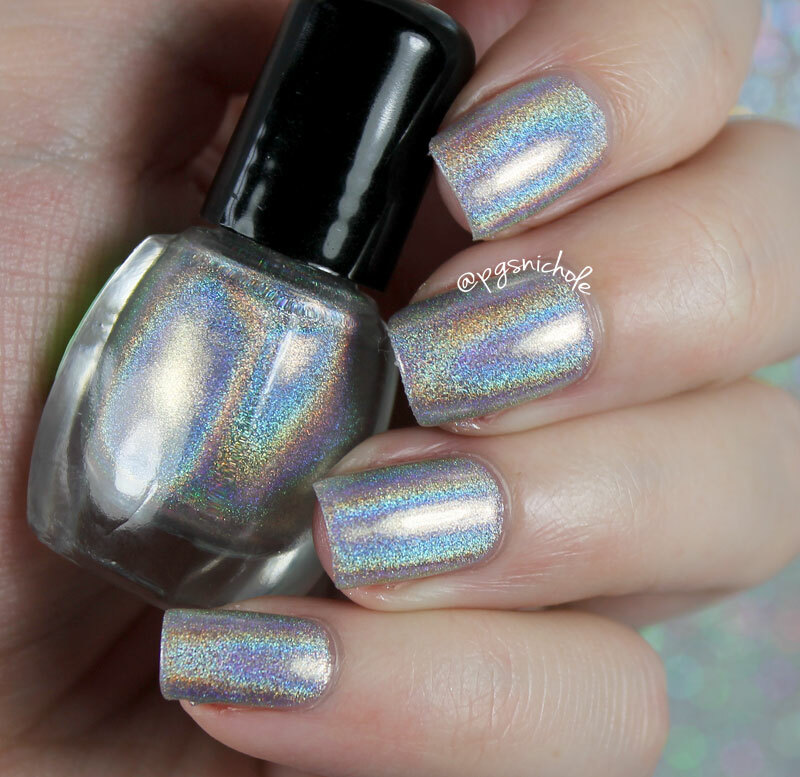 This brilliant silver holo has a soft champagne underbelly and is just plain dazzling. I used three coats plus a layer of Seche Vite. Oh, the vamp. 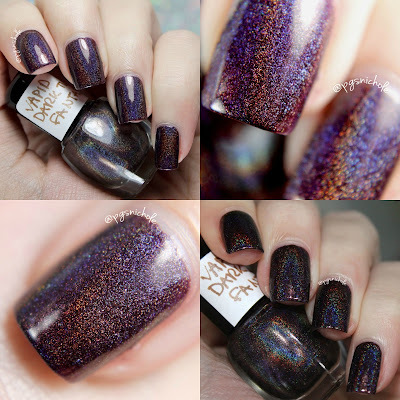 Oh, the holo. 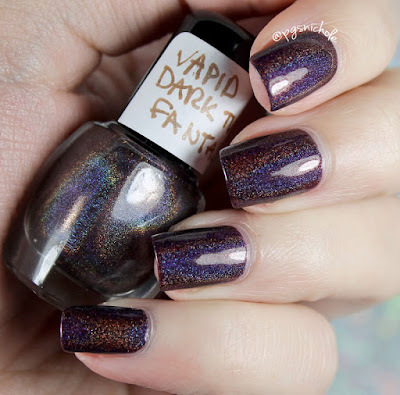 The deep ruddy espresso holo makes my heart stop. I used two thin coats plus SV for these pictures...and I can't stop staring even now. This shade...ok so full disclosure: I didn't expect to like this nor did I expect it to suit me. In the bottle, it looked like disco ketchup, but it pulled much cooler on my nails. It is such a hot little color. I definitely think this could be a holo option for that perfect traditional red pedicure. I used two coats plus SV for these pictures. Vapid is definitely one of my new favorite brands. Between these stunning holos and those omfg creams I can see that I probably need to clear out a Helmer drawer...because this relationship is getting serious. These are so stunning! 100% in love with Dark Twisted Fantasies! lol, disco ketchup. 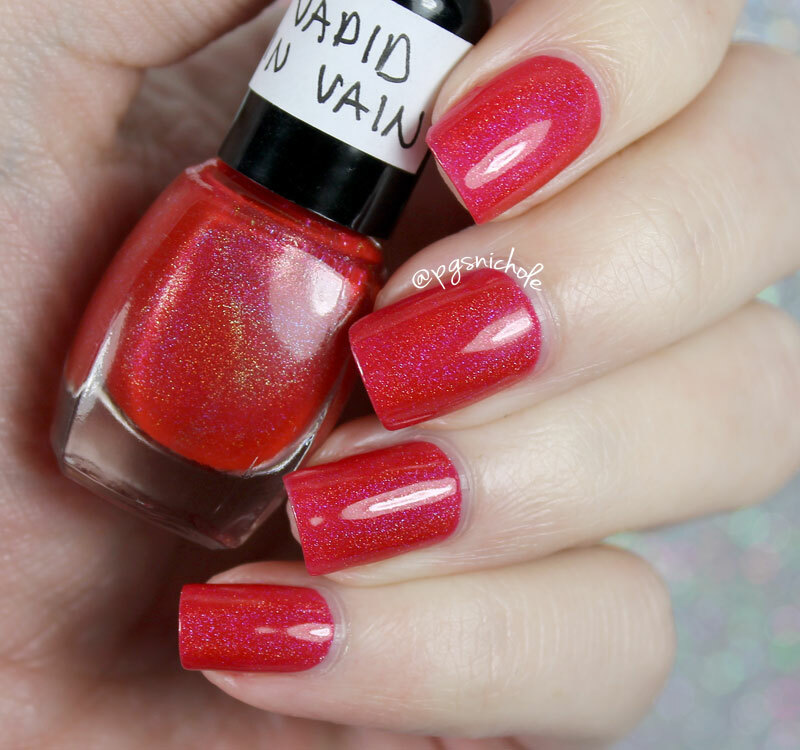 I'll never see red holos the same way again. These all look amazing on you! Dark Twisted Fantasies is making me think naughty things. Dark Twisted Fantasies is AMAZING! Wow! Love them, especially Dark Twisted Fantasies, what a stunner! Wow these are all stunning. Especially Cryogenic Refrigerant.